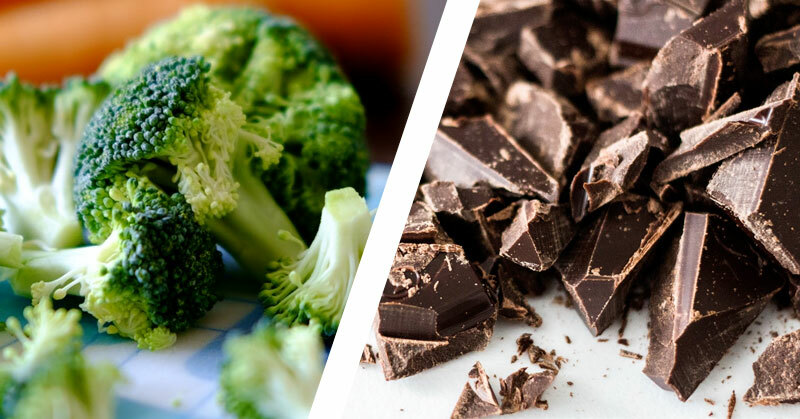 Given the choice between a heaping bowl of chocolate ice cream, and a heaping bowl of steamed broccoli, chances are I will always choose the chocolate ice cream. Who wouldn't? Also given the choice between the two, my kids will always choose the bowl of chocolate ice cream. However, because I'm the dad I have to do what's best for them and sometimes give them the bowl of broccoli. Even though it doesn't taste as good, and even though it's not what they want or ask for. Broccoli is a good source of vitamins and folate, and also helps build collagen which helps cuts and scrapes heal. My kids don't think they care about any of that, they just want that chocolate ice cream that tastes good and momentarily satisfies their sweet tooth. But I know that their growing bodies need all those vitamins and since they're my kids, and destined to be accident prone, they also need that collagen to help their wounds heal. I know that if I only give my kids chocolate ice cream like they're asking for, it's going to make them sick. So I get to be the bad guy, but also the long term hero and feed them broccoli sometimes. When it comes to human resources and what they're looking for in an Applicant Tracking System, I also have to give them broccoli when they only want chocolate. HR comes to me all the time and mostly they just want the chocolate. They want me to make it easy to do their job. They want an applicant tracking system that gets them more applicants and lets their applicants apply and that's it. If all we give our clients is the chocolate they want, it might actually make them, and their companies sick. Let me give a better example: How long did it take HR to have career sites on a mobile phone? Or even to look into any sort of mobile recruiting as part of their hiring system? Too long. But having a mobile career site wasn't chocolate to them it was broccoli. What they didn't know is that they needed a mobile career site for a better applicant experience, which long term provides better applicant flow. Do they like us or do they love us? Are we only getting what we want? Or are we also getting what we need? Are we getting the chocolate and also getting some broccoli too? Remember when you're investing in a new hiring system, you're not just buying software. You're also buying that company as a partner in innovation. If you're ready to start looking for a hiring software but aren't sure what you should be looking for, take a look at our Hiring Software Buyer's Guide.